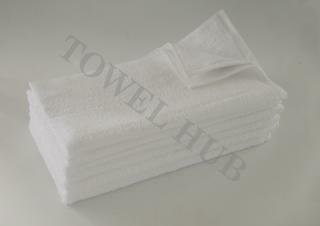 Find matching White Premium Plus Bath towels & Washcloths by clicking on these links. There is no border (horizontal band) in the towel. Perfect for Salon use.